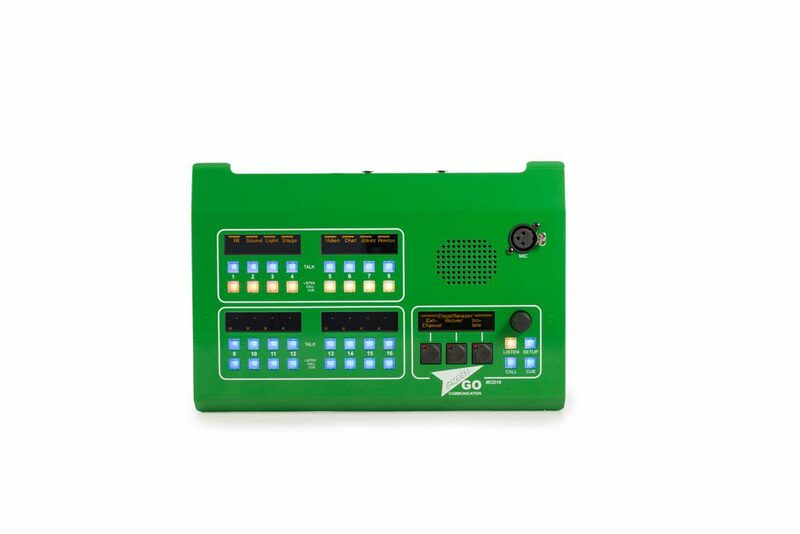 The Green-GO Multi-Channel Desk Station provides with individual pushbutton direct access to the channels. 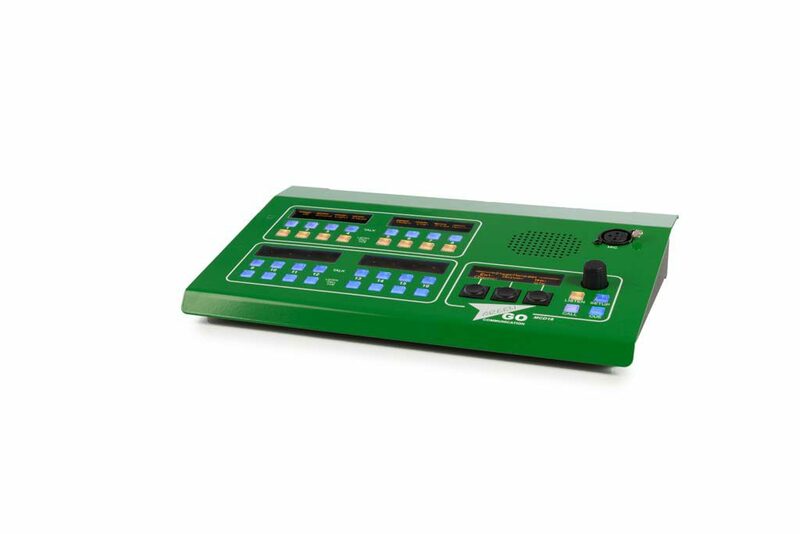 Each channel has two multi-color pushbuttons for ‘Talk’ and ‘Listen, Call and Cue’. Displays for each channel indicate the channel name, volume level and status. 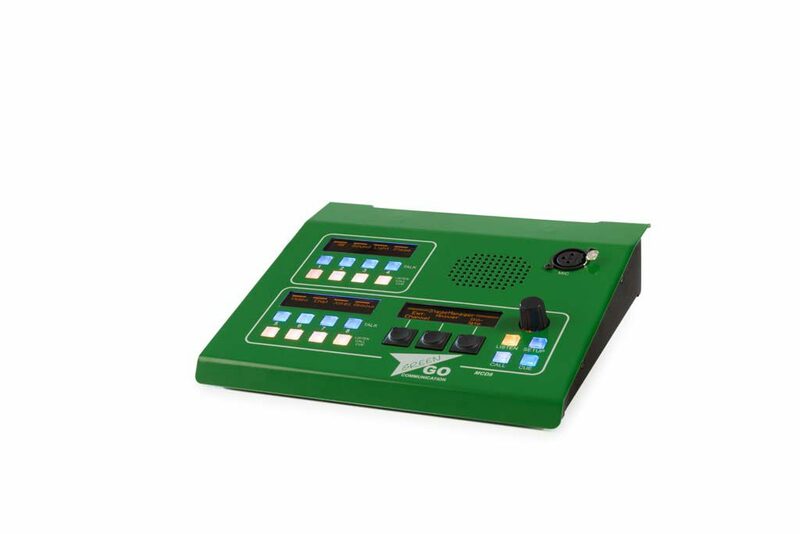 Soft menu buttons control the main operational master features, and the desk has an internal loudspeaker and a microphone XLR connector. 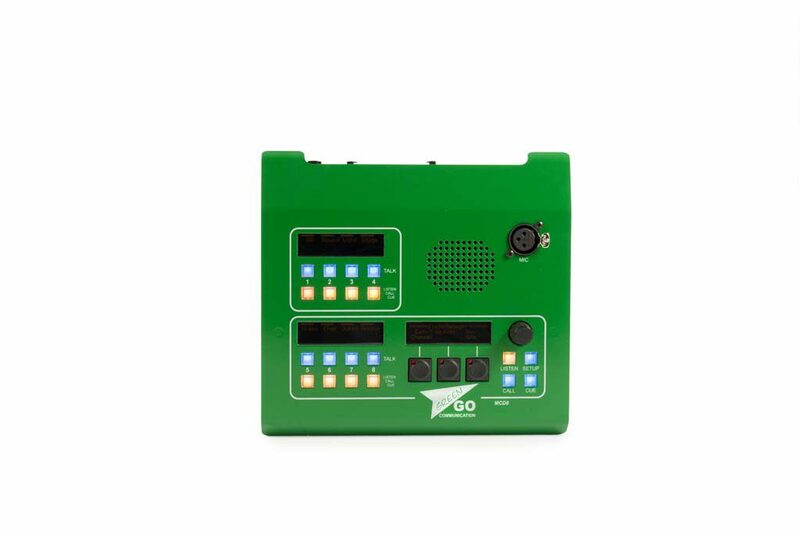 Line in/out connections and routing are provided for show relay, distributed audio and paging announcements. 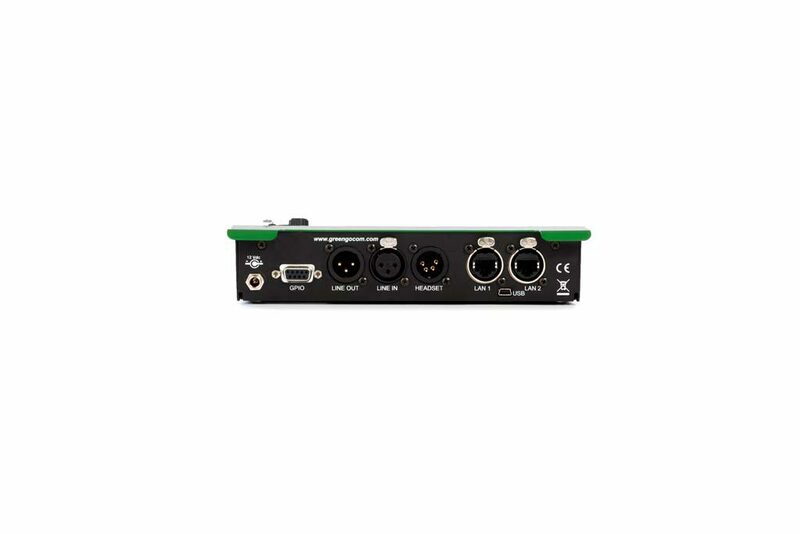 ​A stalk microphone (not supplied) connects via a 3-pin XLR3 front panel connector, and there are twin Ethernet connections with internal switch.